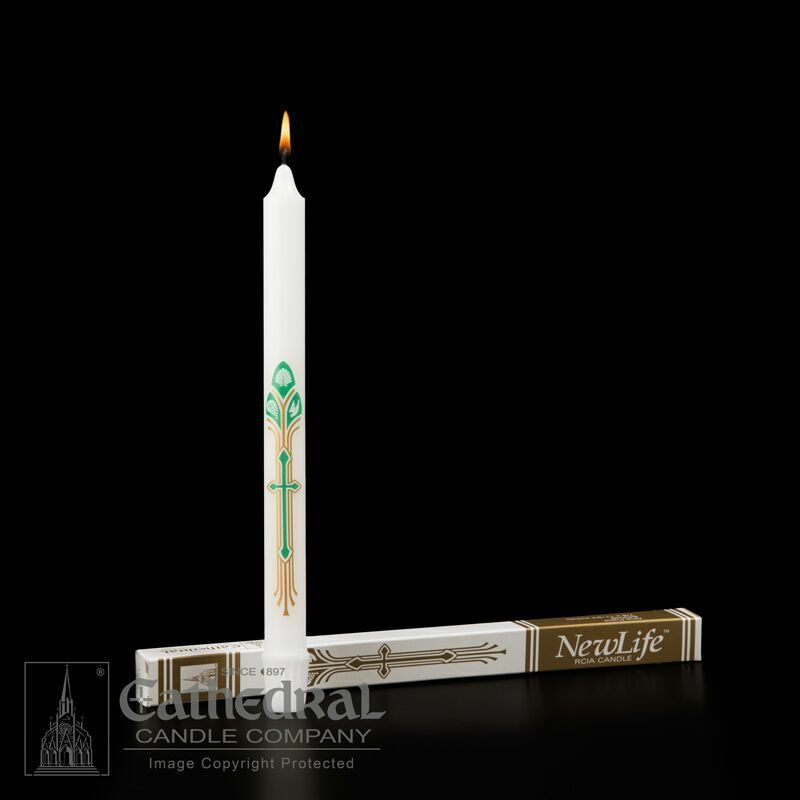 This RCIA Candle features the symbols for the sacraments of Baptism, Communion and Confirmation on an attractive decal. 7/8" x 11-3/4". Self Fitting End. Individually Boxed.